Surprise your mate with the venician skyline will be unforgettable for both you. 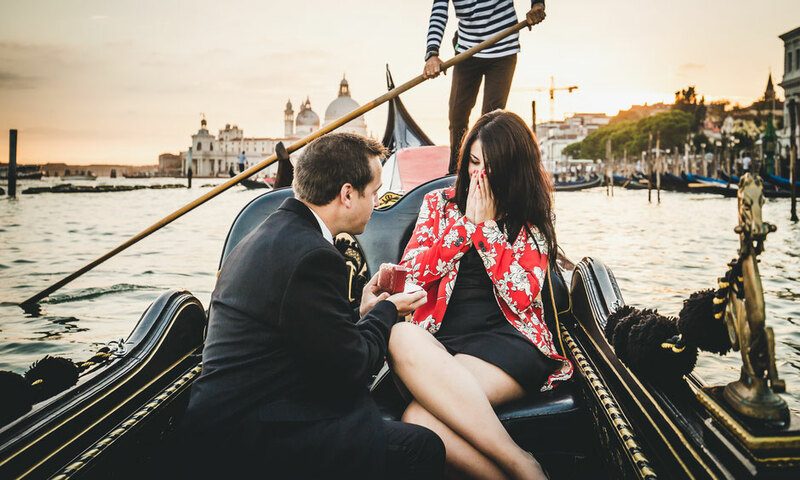 Hire a photographer in Venice for a proposal means to capture that beautiful moment and you can live it again any time you take a look to the pictures. We love helping our clients to create romantic surprises, but for this to happen in the most magical way, we talk for a long time via email. During the surprise proposal the bride to be doesn't know her mate booked a photographer and we discuss with the other haf about the place that can best surprise your girlfriend looking for the perfect place for the couple. Once we have chosen the location we agree on the time (we always recommend the sunrise or sunset) in which the proposal will be made. We will pretend to be tourists and we will stay at a safe distance thanks to telephoto lenses and we will be ready to take the most significant photos of your trip to Venice immortalizing that moment full of surprise, love and happiness. 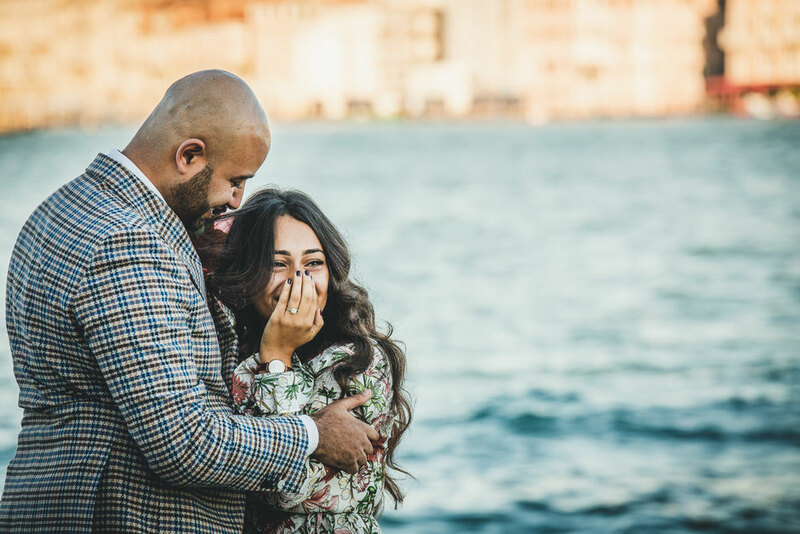 The surprise proposal photoshoot will remain forever in your heart because all the photos will contain love and emotions that you can share with family and friends! After the surprise wedding proposal we continue the photo shoot in the romantic Venice around narrow streets and bridges. Each shot will be spontaneous but at the same time artistic and your photos will be more beautiful than you can imagine!